This was a dressage event with some very pretty horses! The polos went down well as a treat for our equine customers. 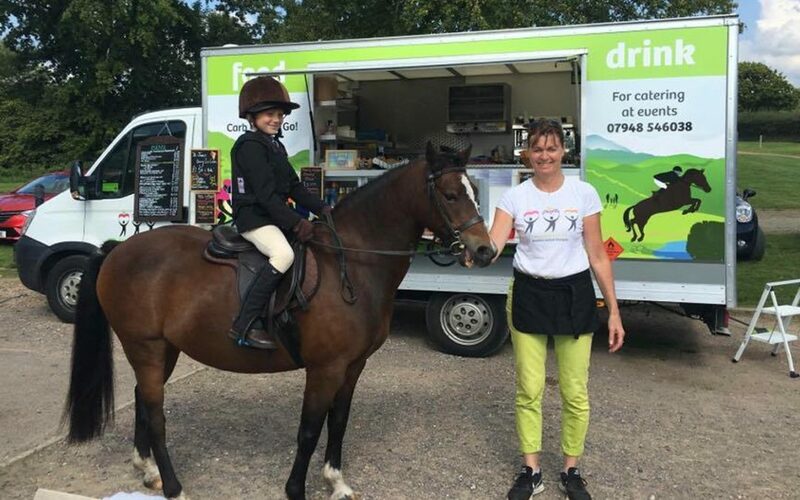 AllezNutrition was a new feature for many riders as this was our first dressage show on a Saturday. It was remarkable how many positive comments we got through the hatch! Why do these people have to put up with greasy hamburgers, chips and hotdogs at similar horse events? More and more people are asking for gluten, wheat and dairy-free choices. It’s always a pleasure to put together bespoke meals for customers with special diets.